If my life were a corny film, this would be the moment the footage blends to slo-mo... Abba would start singing 'Slipping Through My Fingers' in the background, and my teary eyes would steam up the camera lens. 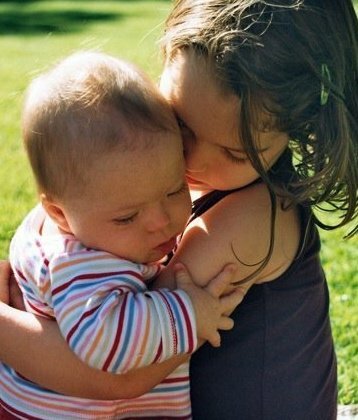 And although I do wish I could press pause on our girls growing up at times, this is not a film. This is real life. Natty develops at her own gentle pace whilst Mia appears to be growing into a young woman at lightening speed. Back in the day: They grow up in the blink of an eye! Every few years the change in our girls seems to suddely hit me. I vlogged 4 years ago about the deep feelings wrapped up in their favourite clothes; the ones you can't quite bring yourself to give away because they were worn for key moments in time and almost have the memories woven into them. Somehow realisations such as this seem to occur during the Summer months, and this school holiday was a wake up call for me. We began by clearing the decks, taking outgrown toys and way-too-small clothing to the charity shop. The sun, fresh air and exercise too mean that the grow chart marks on the kitchen wall lay testament to their physical growth and spending so much more time together as a family than usual, brings home the elements of your child that you perhaps miss when they are at school. Suddenly this young woman came out of her shell, became more noticably confident and independent, learnt life skills like brushing aside the mean girls at school and staying true to what she knows is right. I watched her become more comfortable in her skin and grow and glow with her newfound understanding of the world. Having fun together in the gorgeous Simply Be SS17 collection. Magisculpt floral swimsuit and blue Panache beach dress. She became really good company; someone who took my swimwear for her own, made me cups of tea, was happy to watch comedy films together, share a giggle and try new skills. Sometimes its easy to focus on your child with additional needs, and forget that the sporty, strong, neuro-typical child needs just as much nurturing and confidence-boosting. Letting go: Natty tries the Flowrider! 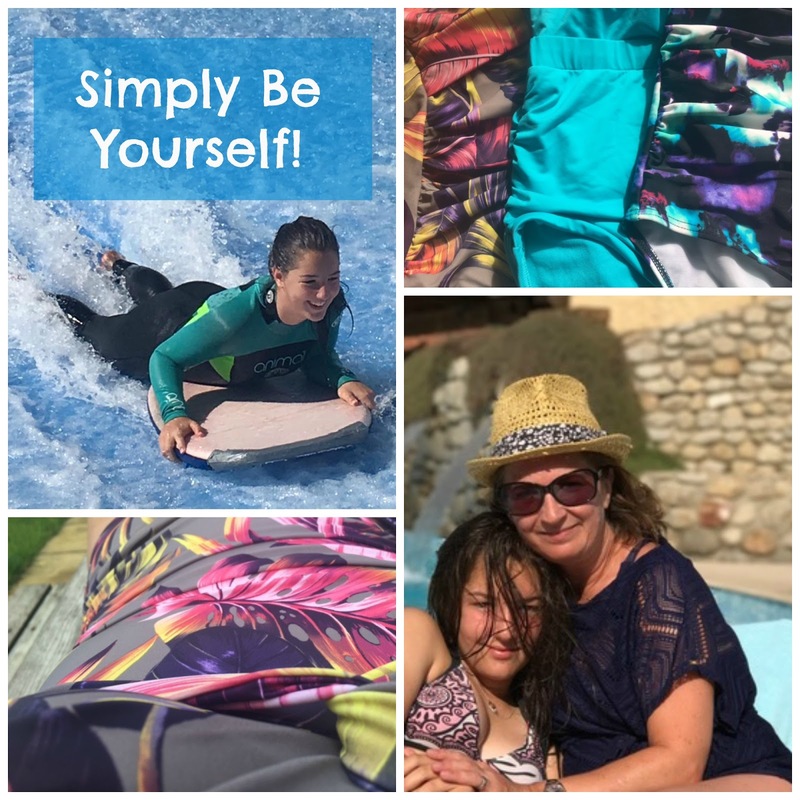 Bright, trendy and cheerful enough for a teen, yet comfy, modest and practical enough to wear under a wetsuit or for sport, as well as flattering and supportive enough for my *ahem* needs. We also opted for a navy lace cover up, proudly made in Sheffield, which I think would be equally lovely worn as a tunic over jeans with a camisole underneath. Did you also know that some Simply Be items are available from a size 8 up to a size 34 and they stock everything from shoes, to jeans, dresses, lingerie and accessories. It was a wonderful way to spoil Mia a little and celebrate her individuality, as well as giving her some much-needed attention. 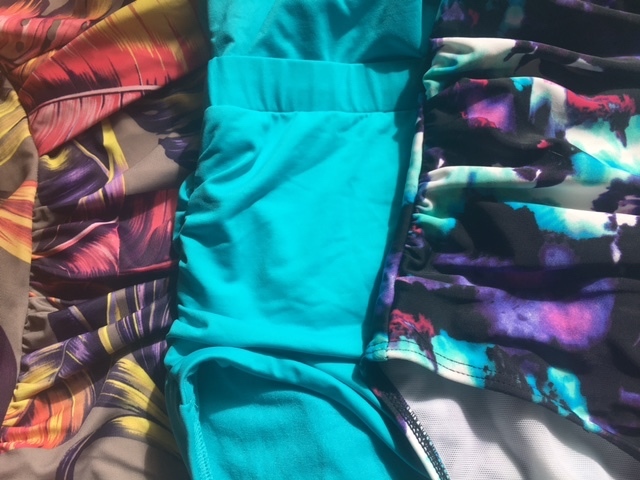 *We chose the Sunseeker Cross Front Plunge Swimsuit in turquoise, the tropical Fantasie Versaille Control Swimsuit and the Magisculpt multi-coloured Swimsuit as well as the supremely practical and gorgeous Panache Navy Sun Dress. Items may now be in the end of season sale, so grab a bargain today and browse the AW17 collection. Read about Daddy Downs Side Up's new wardrobe from Jacamo here.